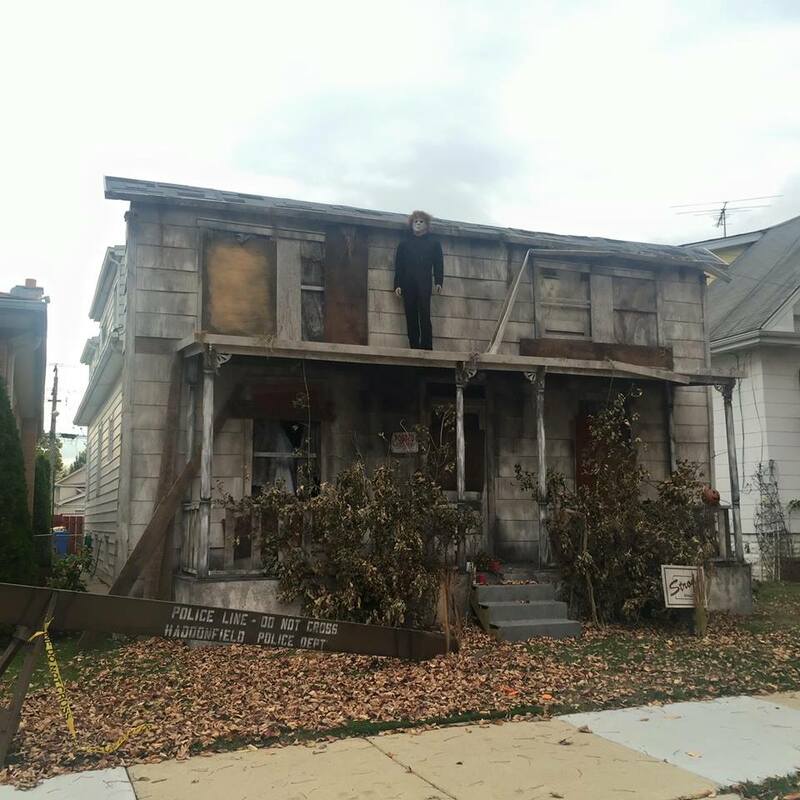 If you fancy yourself a home haunter like myself then you likely strive to do the best Halloween display in your front yard that you can. In the past I’ve spent weeks planning my display and days assembling it! 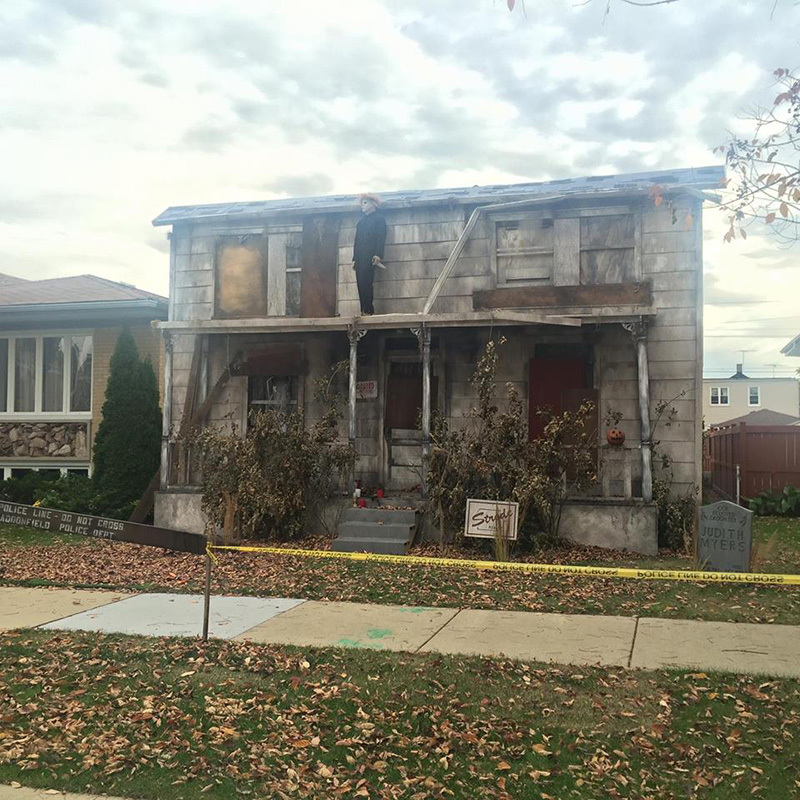 However this Chicago house easily puts all my efforts to shame! 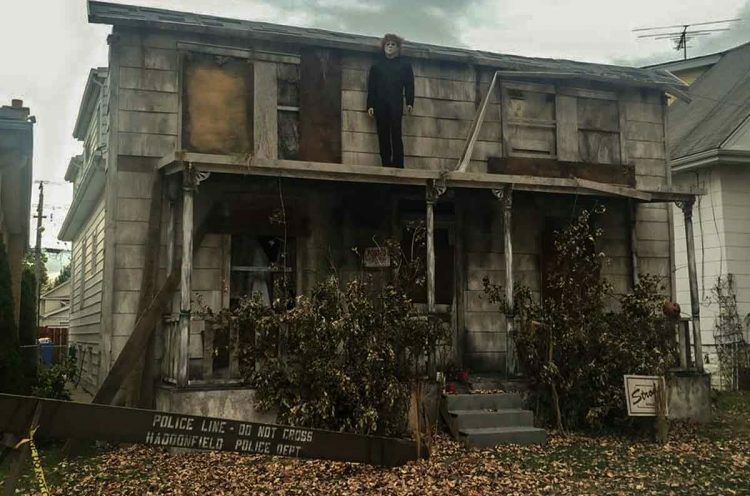 Yep that’s right, You’re looking at a recreation of the original Myers House from John Carpenter’s Halloween Complete with life size Michael Myers! Of Course everyone remembers the classic 1978 slasher flick as being the one that started the slasher movie boom of the 80’s! While it was followed up with 7 sequels and Rob Zombie’s Remake and its sequel, The original is still remembered as the best! 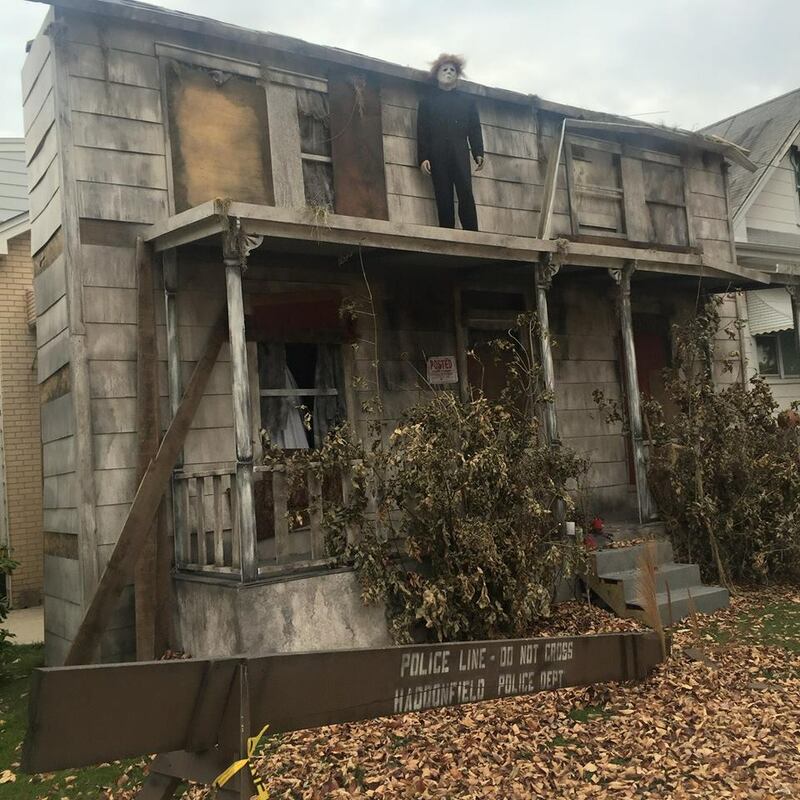 Clearly this fan agrees since he transformed his Chicago home into this stunning and loving tribute the original film for Halloween in 2015. But before you get too excited thinking that its a real house I’m afraid I have to reveal the truth! 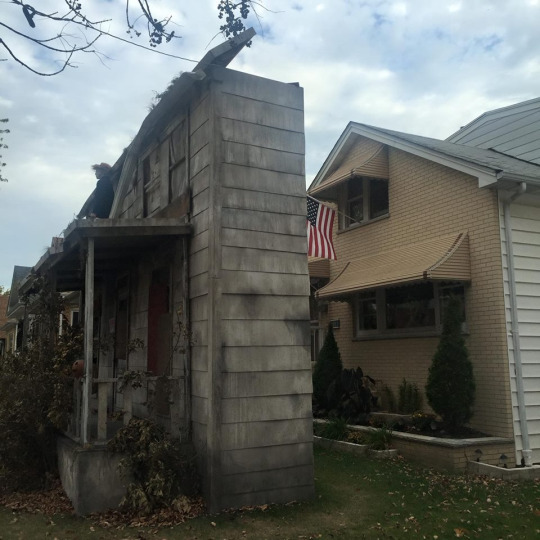 The house is actually a facade placed in front of the owners actual house. Pretty ingenious! The Attention to detail is pretty spot on! They builder included little details like the fallen down rain gutters and of course the STRODE REALTY sign! The amount of time and effort that went into this must have been tremendous! Its a bit hard to make out but I’m pretty sure that’s Michael in a Sheet in the front window recreating the scene from the Original Classic film! Without a doubt these people have Won Halloween for a long time to come in my book! I can’t wait to see how they ever could top this!